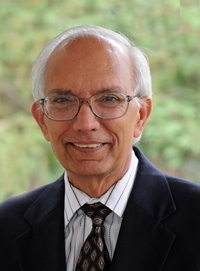 Rattan Lal is a Distinguished University Professor of Soil Science and Director of the Carbon Management and Sequestration Center, at the Ohio State University (OSU), and an Adjunct Professor of University of Iceland. He completed his education with a BSc from Punjab Agricultural University, Ludhiana (1963), MSc from Indian Agricultural Research Institute, New Delhi (1965), and PhD from OSU, Columbus (1968). He served as Senior Research Fellow with the University of Sydney, Australia (1968-69), Soil Physicist at IITA, Ibadan, Nigeria (1969-87), and is currently Professor of Soil Science at OSU (1987-to date). His current research focus is on climate-resilient agriculture, soil carbon sequestration, sustainable intensification, enhancing use efficiency of agroecosystems, and sustainable management of soil resources of the tropics. Rattan Lal’s innovative approach, involving M.Sc and Ph.D students and postdoctoral scholars from around the world (357 in total), has focused on the power of soil in addressing global issues of the 21st Century through a soil-centric approach for: (1) mitigating climate change, (2) advancing food and nutritional security, (3) improving quality of water and air, and (4) improving eco-efficiency. He has inspired generations of soil scientists and agronomists to improve the wellbeing of society through restoration of soil health. He has identified key soil physical properties in relation to soil health, agronomic productivity and eco-efficiency. Rattan Lal assessed rates of soil organic carbon (SOC) sequestration in relation to land use, soil properties and site-specific best management practices to create a positive soil carbon budget. He related the SOC stock to agronomic productivity, eco-efficiency of inputs and total production. Rattan Lal assessed the technical and actual potential of SOC sequestration for mitigation of climate change, advancing food and nutritional security, and improving water quality and renewability. The “4 per Thousand” (0.4% annual growth rate in soil carbon stocks) initiative of the Paris Climate Summit is an example of the global impact of his research. He has enhanced the global awareness about the importance of soil health and its restoration to serve humanity and nature conservancy. Rattan Lal founded in 2000 and developed the Carbon Management and Sequestration Center (C-MASC) at OSU as a unique inter-disciplinary organization based on the concept of enhancing soil organic matter content to improve soil health while mitigating climate change and strengthening other ecosystem services. It is now a globally recognised centre. Rattan Lal has established contacts with policy makers to translate this scientific knowledge into concrete action plans. Principal examples of these include: (1) member, the Scientific Advisory Board of the Department of Defence, USA, on soil and environment issues. 2011-2018, (2) member, the Scientific Advisory Board, FACCE-EU, 2011-2016, (3) founding chair, Advisory Committee, UNU-FLORES, Dresden, Germany, 2014-2019, (4) member, Executive Committee, “4 per Thousand” initiative of COP21, 2016-, (5) founding member, Advisory Board, Adapting African Agriculture (AAA) initiative of COP22, 2017-, (6) Cooperation with the CGIAR system as the Scientific Liaison Officer of the USAID for natural resources: 1989-92, (7) Senior Science Advisor to the Executive Director, the Institute of Advanced Sustainability Studies, Potsdam, Germany, 2010- 2016; and (8) Member, Federal Advisory Committee on climate assessment NOAA Climate Change Assessment Report (2014). Rattan Lal is a fellow of the American Society of Agronomy (ASA, 1985), Soil Science Society of America (SSSA, 1986), Third World Academy of Sciences (1992), American Association for the Advancement of Sciences (1996), Soil and Water Conservation Society (SWCS, 1997), Indian Natl. Academy of Agricultural Sciences (1998), and Rothamsted, U.K. (2013). He received the Hugh Hammond Bennett Award of the SWCS, 2005; Borlaug Award (2005), and Liebig Award (2006) of the International Union of Soil Sciences, M.S. Swaminathan Award (India) of 2009, COMLAND Award (Germany, 2009), Sustained Achievement Award, Renewable Natural Resources Foundation (2017), Medal of Honour ,UIMP, Santerdor, Spain (2018)and Distinguished Service Medal, IUSS (2018). He received honorary degree of Doctor of Science from Punjab Agricultural University (2001), the Norwegian University of Life Sciences, Aas (2005), Alecu Russo Balti State University, Moldova (2010), Technical University of Dresden Germany (2015), University of Lleida, Spain (2017), and Gustavus Adolphus College,St.Peter,MN,USA(2018). He is included in the Thomson Reuters 2014-2017 list of most cited researchers and in the World’s Most Influential Scientific Minds (2002-2013). Rattan Lal was a lead author of IPCC (1998-2000), and was awarded Nobel Peace Prize Certificate by IPCC in 2007, and Global Dryland Champion of the United Nations Convention to Combat Desertification, Bonn, Germany in 2013. Thus, Rattan Lal has promoted the use of improved agricultural practices and the best soil management systems as important solutions to addressing climate change, advancing food security, and improving the overall environment. His research has focused on “producing more from less”. Rattan Lal emphasizes using the best soil by the best scientific methods so that productivity is enhanced and the land resources saved are set aside for nature conservancy. Further, soil and agriculture must be integral to advancing the attainment of the Sustainable Development Goals of the U.N. (Agenda 2030). Soil and its management should be included in the curricula at all levels, and awareness about its importance promoted among the general public and the policy makers.